I've hesitated to write anything about the latest awfulness inflicted on Canada by the Jian Ghomeshi scandal because it's so unspeakable. As George Steiner wrote about an even more appalling event, "when confronted by horror, silence is the only response." Only a week ago, the story broke thanks to Jesse Brown's relentless pursuit of rumours and insinuations. We owe him our thanks. But it occurred to me and many others who continue to follow this slow-motion, relentless car wreck, that the outpouring of sadness and anger is misplaced. It's not just about Ghomeshi and his appalling (and unacknowledged - by him) practices. It's about how Canadians have suddenly realized that the national treasure known as CBC Radio hasn't been there for quite some time. It’s that the scandal represents a further undermining of a treasured — possibly the treasured — national cultural institution. It’s a tremor that shakes the fortress and leaves it more unstable. 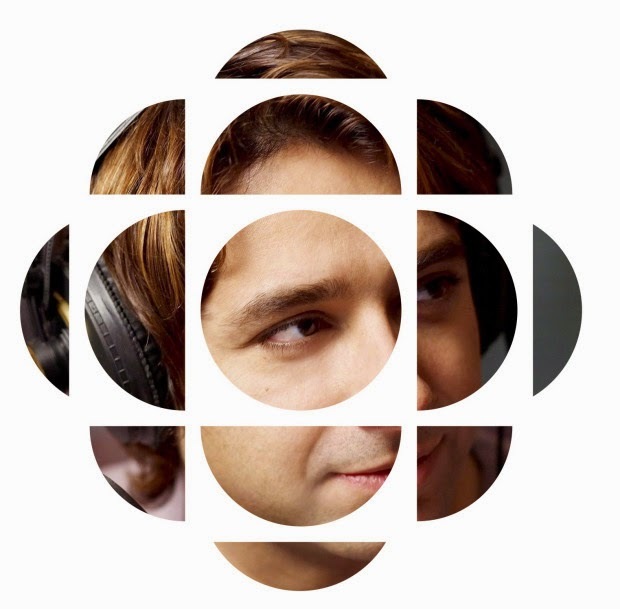 Lots of listeners like and even revere Ghomeshi, but their relationship with CBC Radio is more intrinsic and profound. However it all plays out, the CBC can certainly survive without Jian Ghomeshi. But most of Canada, I’d venture, would not even like to consider the prospect of surviving with a diminished CBC. CBC Radio still has some bright spots: Michael Enright's substantial The Sunday Edition, Tom Allen's witty and charming Shift, Laurie Brown's hip The Signal and locally, Matt Galloway's passion for Toronto on Metro Morning. So there are still some possibilities. But fewer of them than we deserve and less than there used to be. Yet CBC Radio has been diminished and has been in decline for a some time. It was easy and unfair when Radio people would quietly mock the troubles that would occasionally beset their colleagues in TV. No one's mocking anyone now. The reasons for Radio's decline are many and complex: an institutional smugness, governmental indifference, a decline in funding, and a senior management culture that must believe that the state has no real role in public broadcasting. At the same time, there was a widespread delusion that CBC Radio could still be a "light unto the nation," as it were....that Radio would still be able to create a sense of national community and conversation in this cacophonous digital age. I thought so along with others. We were wrong. The same questionable and deforming values of ratings and star-status that have been so damaging to CBC TV have also had its effect on CBC Radio. We were in denial. Over the years, the country has changed. It is not the communitarian culture that it once was 20 years ago. A program like Morningside with Peter Gzowski couldn't exist now. We live in a far too fragmented digital culture. If Ghomeshi was seen as a possible successor to Gzowski, it was a deeply wished-for scenario. And it almost worked. But in the end, it was a mirage. Our national lament for a missing CBC Radio may be for something no longer be possible. That's what has people so upset. Q was seen as too big to fail and Ghomeshi as too important to manage. Now the results can be seen and heard outside this one program and this one disgraced host. Other producers, journalists and radio staffers have been warning about a managerial vacuum for years. Now, those particular chickens are roosting all over the CBC. Some optimists are saying that this dreadful episode will soon pass, that the public will forget Ghomeshi and the CBC can "return to regularly scheduled programming", as the saying goes. That is unlikely to happen. This is not about one man's libidinous foolishness. It is about the institution that he served so poorly. This is a crisis of truly existential proportions for the CBC. Nothing short of a complete re-invention of public broadcasting in Canada can save it. And if it can't be saved, we have no one to blame but ourselves. "...there was a widespread delusion that CBC Radio could still be a "light unto the nation," as it were....that Radio would still be able to create a sense of national community and conversation in this cacophonous digital age. I thought so along with others. We were wrong. The same questionable and deforming values of ratings and star-status that have been so damaging to CBC TV have also had its effect on CBC Radio." Your description is accurate. There is a structural reason for it. During the time when CBC Radio could "be its own creature", it was because radio managers had a lot of independence. Radio had its own departments for news, current affairs, variety, drama, music. Each of these departments had its own managers, and its own core values. Taken together, they were "CBC Radio". They didn't resemble tv because their managers were not in lockstep with TV managers. A generation of "streamlining" "optimization" "efficiencies" changed that. Also a generation of senior managers trying to eliminate "unit culture". Very few people work for a particular CBC Radio program these days. Very few people work exclusively for CBC Radio, in fact. In today's CBC, Radio echoesTV because it is an annex of TV. It is the radio division of the CBC, which wants to put the same content on Radio, TV, cbc.ca, and any other platform that gets invented before the retirement dates of senior bosses. This CBC is tone-deaf to the differences among those platforms, let alone among programs. The biggest elephant in the room sets the pace when it comes to core values. That means TV managers drive all the major decisions. Other managers can create an enclave here, a ghetto there. But the boundaries are few and frail. "Over the years, the country has changed. It is not the communitarian culture that it once was 20 years ago. A program like Morningside with Peter Gzowski couldn't exist now. We live in a far too fragmented digital culture." Disagree. Gzowski found the things that unite us. He also found the things that we were not a part of, and made them ours. I miss him.